Tariro Mavondo is a Melbourne-based artist of Zimbabwean descent. She trained as an actor at VCA where she was the 2011 recipient of the Irene Mitchell Award for Outstanding Actor in Third Year. 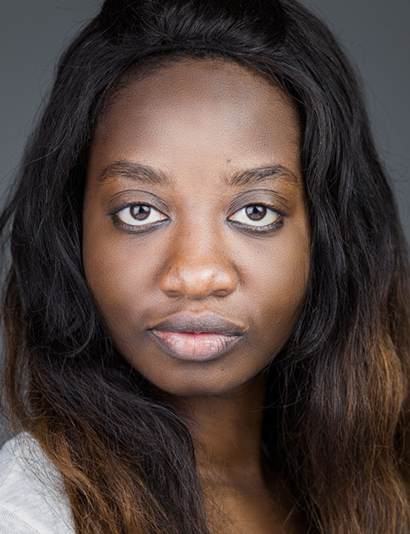 Her recent theatre, television and film roles include: Lyndsey in MTC’s Jumpy, “Mukami Obanda” in Channel 7’s Winners and Losers, “Rutendo” in Arrivals (a VCA short film), “Amina” in Red Stitch Theatre’s Bellevile, “Michelle” in The Hayloft Project’s Arden versus Arden and “Cleopatra” in Eagle’s Nest’s Anthony and Cleopatra. Tariro also co-directed Fate a Creative Development (2014, Arts Centre Melbourne) and Billy Possible, written by award winning playwright Neil Cole (Mechanics Institute Brunswick). She is additionally a State and National Australian Poetry Slam Finalist and a performance poet. She was a Founding Member of the Centre for Poetics and Justice and was part of the Global Poetics Tour 2011 with New York slam champions Mohagany Brown, Jive Poetics and Shane Koyczan. Tariro has also curated a fundraising spoken word event called Speak Easy Against Violence Towards Women for One Billion Rising Melbourne and was a founding member of the Still Waters Storytelling Collective.